SCH will handle over 70 cruise vessels in Southampton during 2016 after winning a contract for up to three years to service Saga Cruises’ ships, adding to operations handling calls by Royal Caribbean International (RCI), Celebrity Cruises and Azamara Cruises . 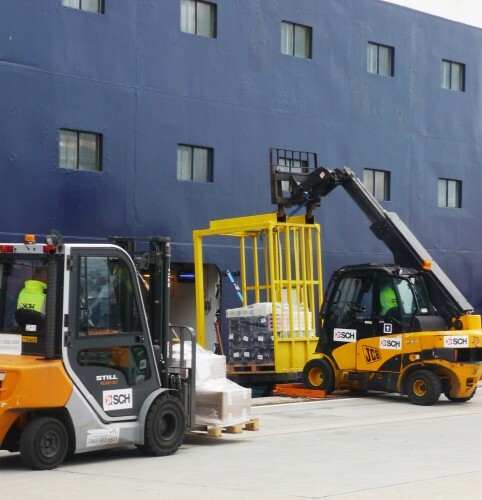 Starting in April, the company will carry out work including baggage handling, stores loading and mooring for Southampton callers such as Navigator of the Seas, Independence of the Seas, Saga Sapphire and Saga Pearl II. In addition, SCH will be handling the maiden calls in Southampton of the new RCI ships, Ovation of the Seas and, the biggest cruise ship in the world, Harmony of the Seas. “Having extended our cruise ship handling to other UK ports, it is great to see us building business in the port where the company originally started operations. This is good news for our core workforce and our agency subsidiary, Pathfinder Personnel,” explained SCH Business Development Manager Lee Davis. SCH’s busy 2016 season kicks off in April and extends throughout the year, with operations serving hundreds of thousands of passengers. Although the customer base differs, SCH’s sister company Cruise and Passenger Services (CPS), the UK’s biggest valet parking company, is also expecting extra volumes through Southampton with its services catering for over 200 cruise ships visiting the port. And it’s the same story at Portsmouth International Port where another SCH sister company, Southern Maritime services (SMS), has 36 ship calls scheduled for the forthcoming cruise season including the vessels Lindblad Expeditions’ NG Orion, Sea Explorer 1 (Noble Caledonia) and Hapag Lloyd’s Bremen, all making their maiden calls at PIP.